Abortion: That’s a person. AN INDIVIDUAL in there. In light of the Left’s panic over the possibility of a Conservative Supreme Court turning the pivotal issue of abortion over to each of the INDIVIDUAL 50 states rather than to 9 lawyers in DC, sane and sober reflection is most timely. Columnist Mona Charen earns the highest kudos for pointing out the profound significance of our fascination with the rescue of a handful of school kids and their coach from that watery Thai cave. Why the worldwide riveting drama when untold thousands/millions of people, young and old, suffer and die every day in this rough world? The answer: we bonded with a handful of INDIVIDUALS, few enough on which we could focus prayers and hope realistically for a happy outcome. Not for young soccer players worldwide. Not for the rich or for the poor. Not for a whole race. Not for just males or just females or for the silly new gender of the week cooked up by today’s loony Social Justice Warriors. Just a few INDIVIDUALS. We wanted to see those lives saved, and so it came to be. Thank God. Now focus on that unborn baby in the womb and think of him or her as an INDIVIDUAL, one human life, a unique drama yet to be lived out in all its unpredictably INDIVIDUAL way. 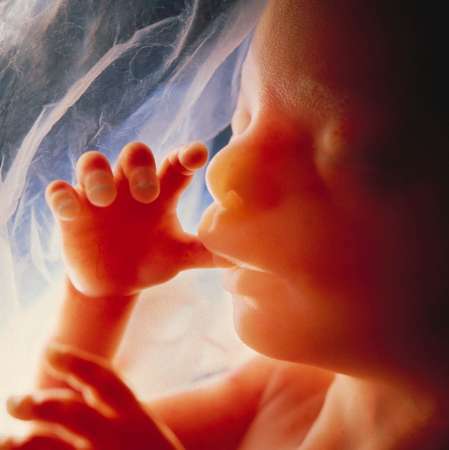 No, not a “fetus” or “tissue” or an “issue” involving “a woman’s right to control her own body.” A life, one single INDIVIDUAL person unlike any other at the beginning of this human odyssey billions of INDIVIDUALS like you and I have been blessed to live, for longer or for shorter, for better or for worse. Here is the best and final answer to the Left’s religious (and heartless) embrace of collectivism/the faceless masses and its fundamental rejection of INDIVIDUALISM, the life, personal liberty and the happiness EACH ONE of us has the God-given right to pursue. That said and understood, the whole debate becomes so easy, so clear. One Response to Abortion: That’s a person. AN INDIVIDUAL in there.